“Behold, how good and how pleasant it is for brethren to dwell together in unity! It is like the precious ointment upon the head, that ran down upon the beard, even Aaron’s beard: that went down to the skirts of his garments; As the dew of Hermon, and as the dew that descended upon the mountains of Zion: for there the Lord commanded the blessing, even life for evermore,” Psalm 133: 1-3. This bit of scripture in the bible holds many different meanings to me, as it may for you as well, but I am thinking about brotherly love and what that means in reference to this verse. It is with pleasure that I write these few lines to you hoping to find you in good healtth as this leaves me at present. I thought I would write you to find wether you was living or not. I wrot homes several times for your directions but I never got them until I got the last letter. I knowed you was in 2 Virginia Cavalry but I did not know who company. I volenterd in Pittsburg so I would be along side of you. The captain Ivolenterd under is name is Migraw the eleven Pennsylvanaia Company G Col. Colter. The captain told me I would have to go to his regiment nd then he would transfer me to the regiment where you was but the captain has not come to his regiment yet but still think I will stay here where I am. I volenterd in the last of March in Pittsburg I received a couple of letters about my mothers death. I am very sorry but it is a road we will have to go some time or other but it is little we think about it when we are in good health. Beesy is in Coalport now. We have a hard time of it here now we have meen fighting and marching all this month. We fit with the enemy 10 days hand running oir regiment is cut up very badely we have lost very near all our officers we lost about 700 killed and wounded. The first seven days were some of us fighting everyday here. William is doing very well at home. Maryhart has lost two of her children, the oldest one and the little Simey, I think is the other one. I want you to write me as soon as you get this letter and let me know how you are getting along, so more at present. From your affectionate bother, Thomas Horden to his brother Richard Horden, 11 Pennsylvania Pr. Company G, in care of Col. Colter, Washington. Thomas Horden’s letter to his brother Richard Horden, Sr., embodies that true meaning of brotherly love. At the outbreak of the Civil War, this man first thought of his brother. He knew he wanted to join in the cause and Thomas, who was in Pennsylvania, wanted to fight alongside his brother Richard who was serving in Ohio. Thomas joined in hopes, and with the promise, he would be transferred to the Ohio regiment with his brother, but luck broke against him, and Thomas was not able to be transferred. In Virginia, on Feb. 5, Brevet Brigadier General David Gregg’s cavalry division rode out to the Boydton Plank Road via Reams Station and Dinwiddie Court House in an attempt to intercept Confederate supply trains. Major General G.K. Warren with the V Corps crossed Hatcher’s Run and took up a blocking position on the Vaughan Road to prevent interference with Gregg’s operations. Two divisions of the II Corps under Major General A.A. Humphreys shifted west to near Armstrong’s Mill to cover Warren’s right flank. Late in the day, Major General John B. Gordon attempted to turn Humphreys’ right flank near the mill but was repulsed. During the night, the Federals were reinforced by two divisions. On February 6, Gregg returned to Gravelly Run on the Vaughan Road from his unsuccessful raid and was attacked by elements of Brigadier General John Pegram’s Confederate division. Warren pushed forward a reconnaissance in the vicinity of Dabney’s Mill and was attacked by Pegram’s and Major General William Mahone’s divisions. It was here when Thomas was killed in battle on Feb. 6, 1865, his letter having still not made it to Richard. As the years continued, Richard never heard from Thomas. Richard finally learned of his brother’s death through documents from the war department. 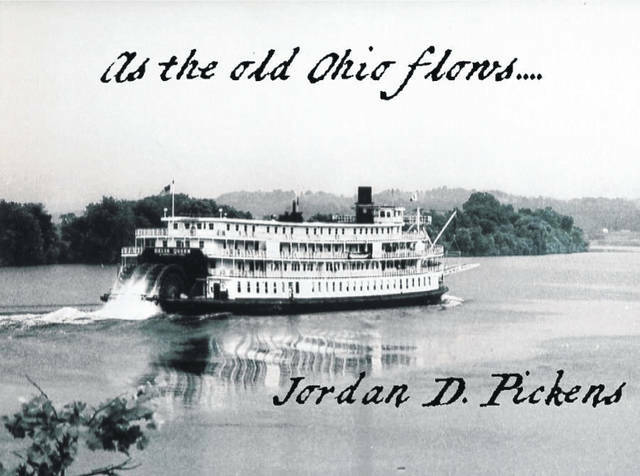 As the old Ohio flows…. Jordan Pickens is a local historian and educator.